This boat is well equipped and ready to go cruising! With the recently installed Scanmar windvane, autopilot, all lines led aft to cockpit, staysail and self-tacking jib she is set up for short handed sailing. 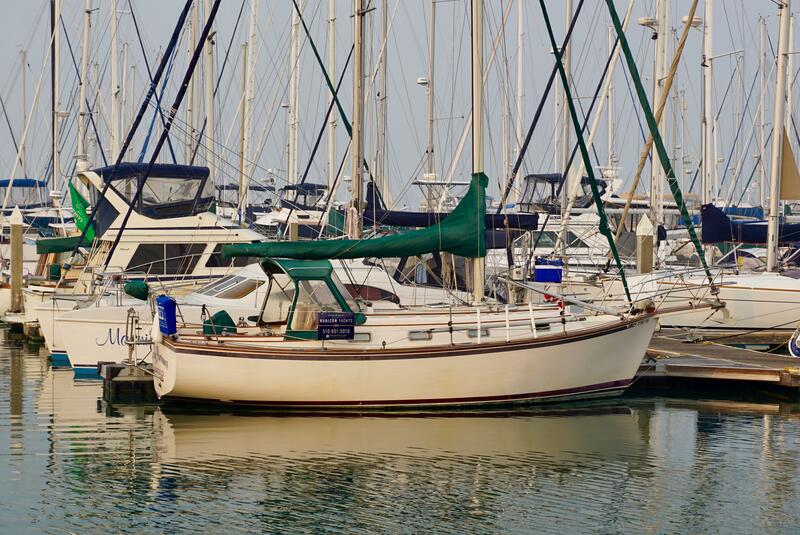 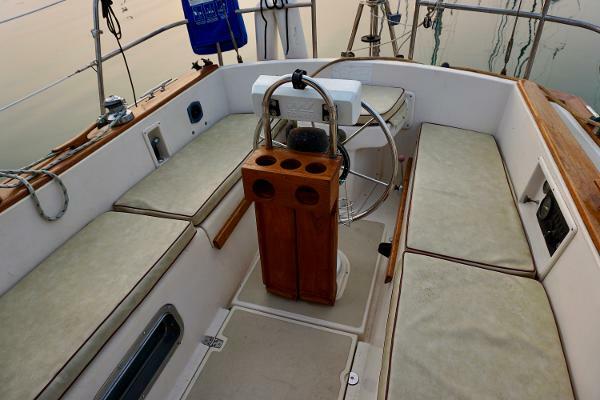 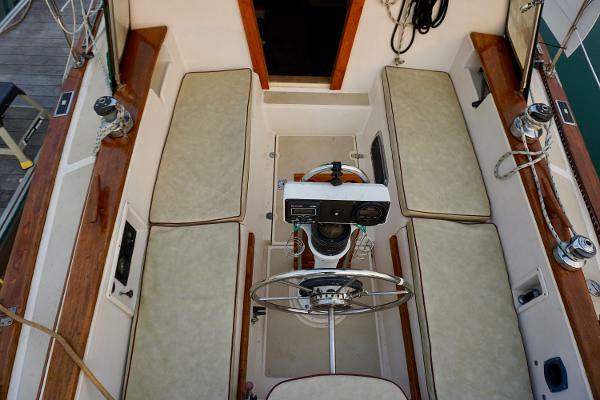 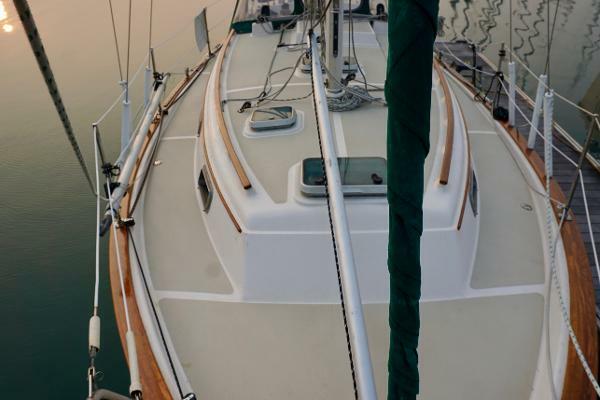 Her stout full keel design helps her easily weather conditions you would normally take in a larger boat. 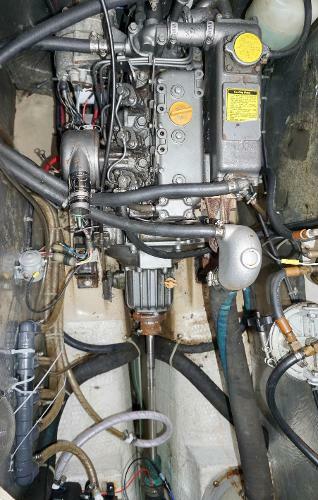 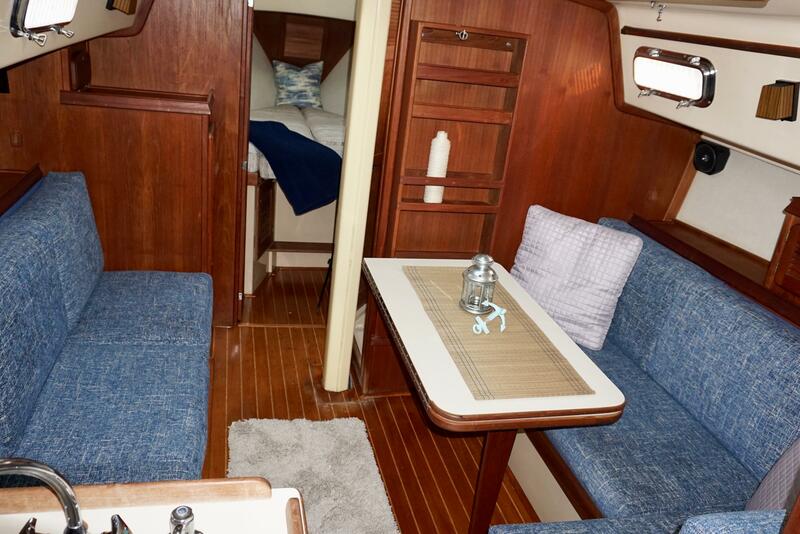 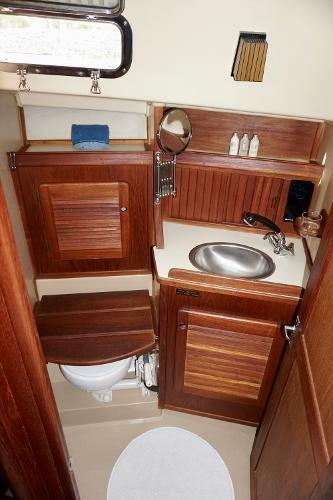 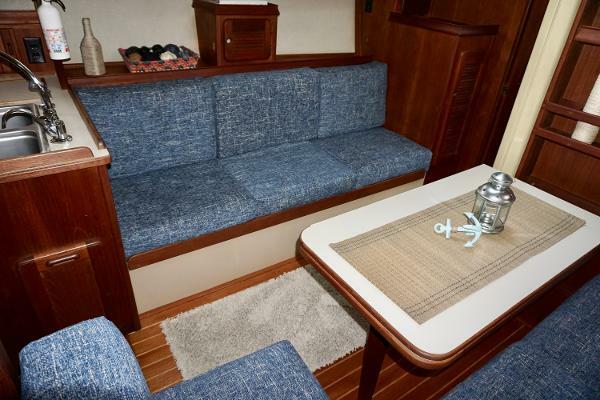 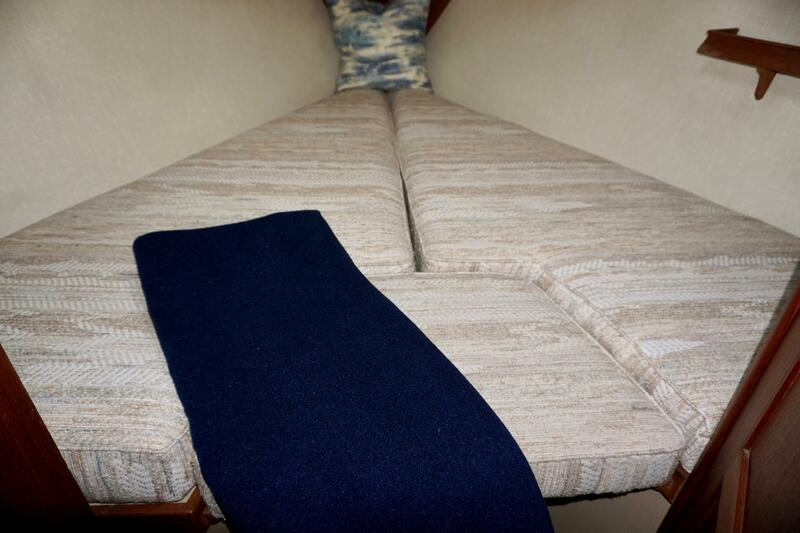 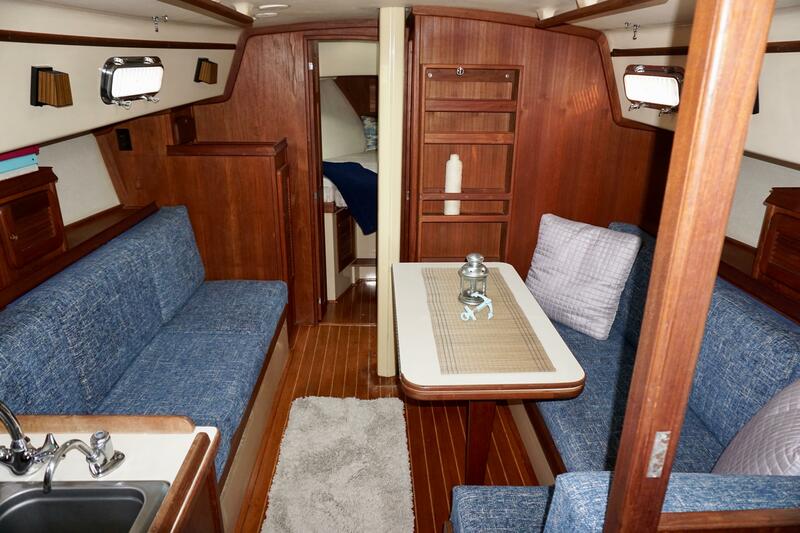 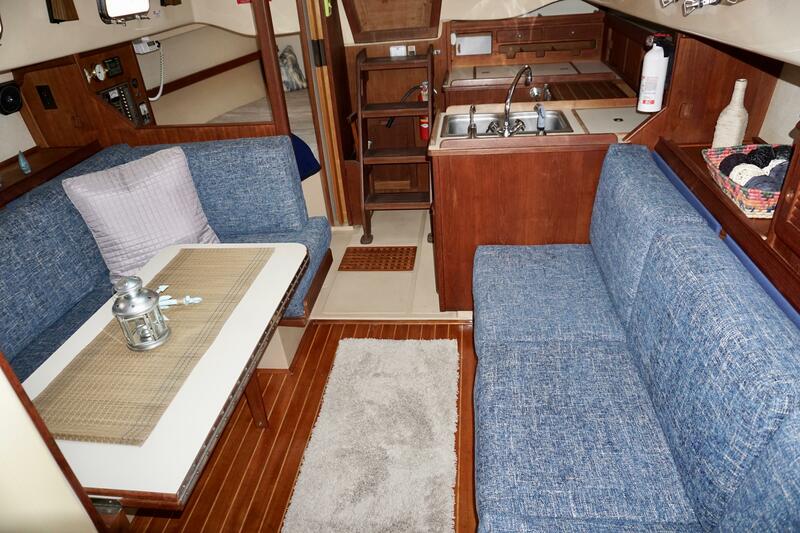 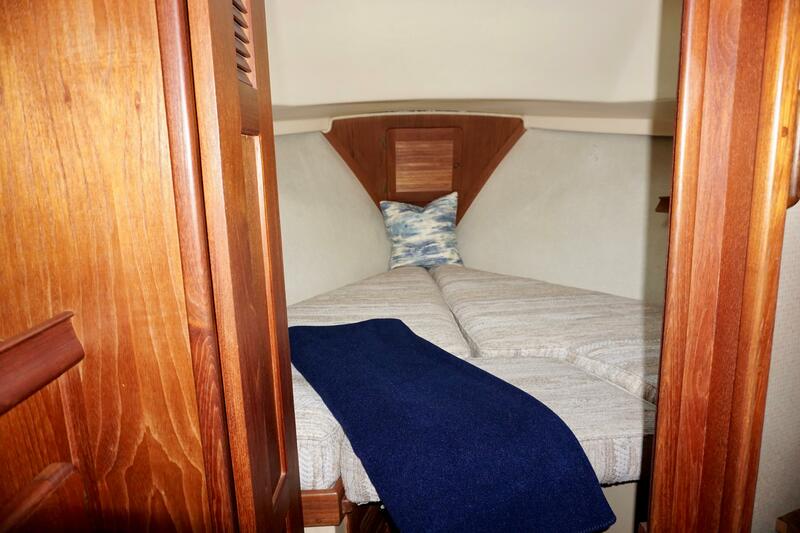 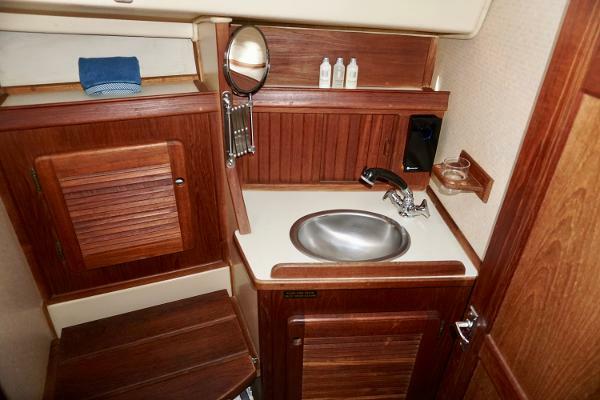 Her interior is generous with ample V-berth, aft 3/4 berth and convertible additional full berth in the salon. 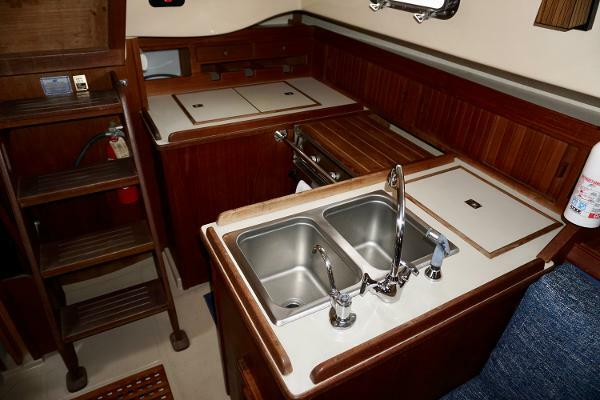 Very nice teak woodwork gives her a warm feel. 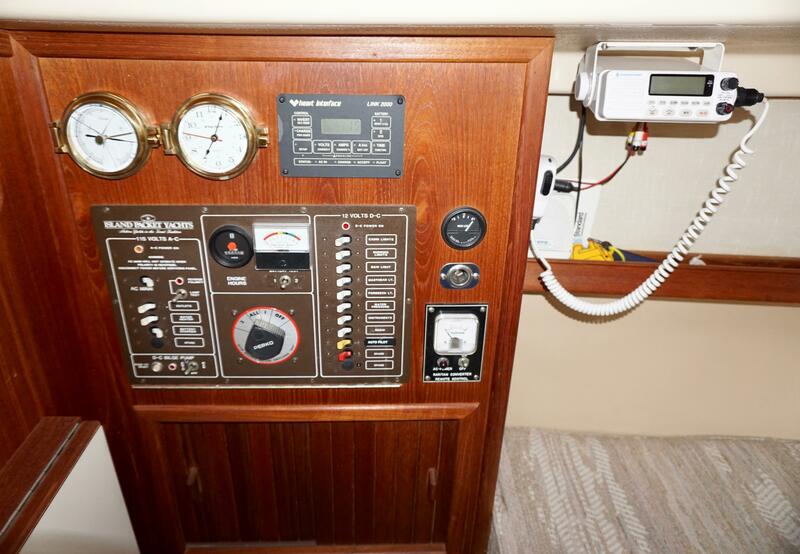 And plenty of gear is included: New main sail and strong track in 2014, Heavy duty Whisker pole, new radar ready to install, Halon auto engine extinguishing system, new Jensen stereo,( ipod/ipad/iphone compatible),new Raritan manual toilet and holding tank installed 2013, electric windlass, pressure hot water, small inflatable dingy (on board), bow and stern anchors ( w/ ample chain and rode), new gel cell batteries (house and starting) 2014, swim ladder available, windvane professionally installed by Scanmar recommended installer and serial # registered with Scanmar, most running rigging recently replaced, ipad mounts (with power outlet) at helm and nav station. 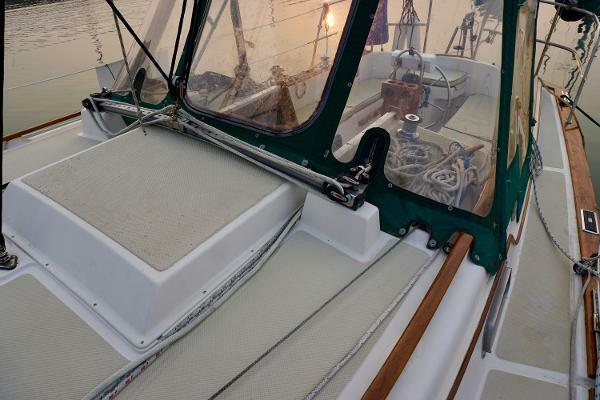 Bbq, all canvas including dodger in very good condition. 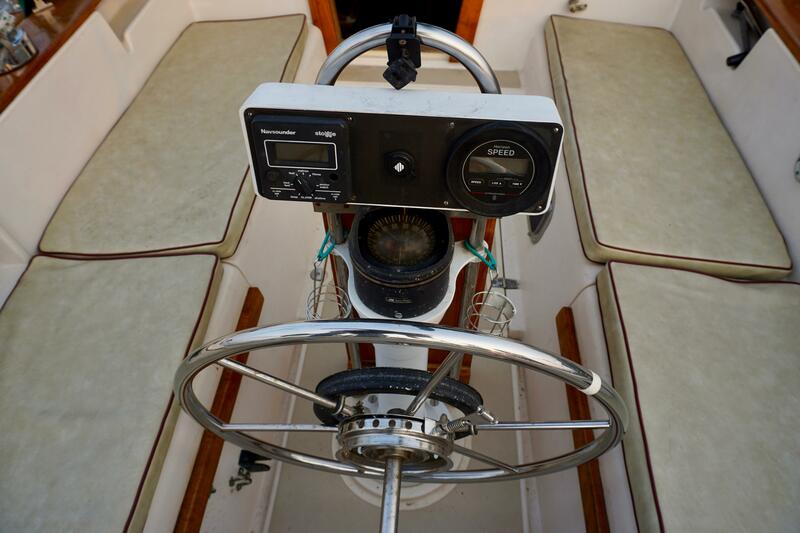 Most winches self tailing( except cockpit reef point). 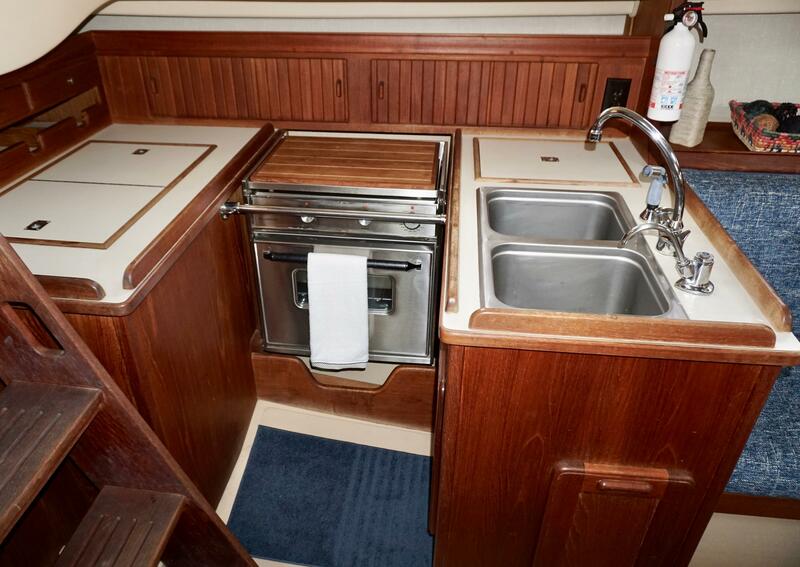 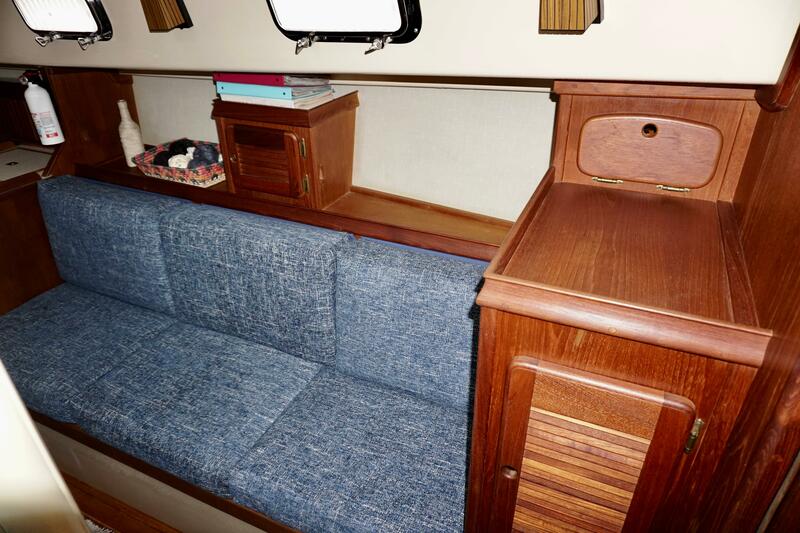 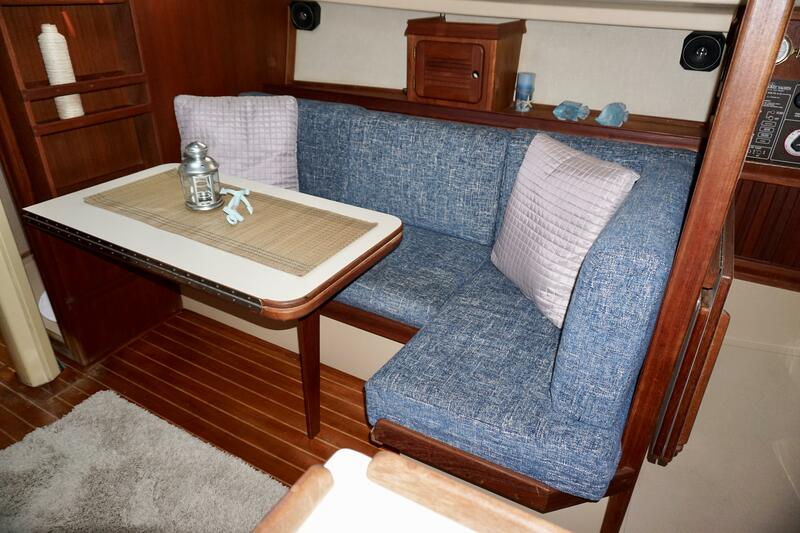 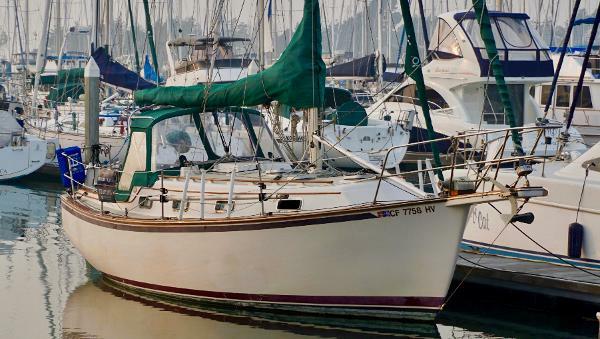 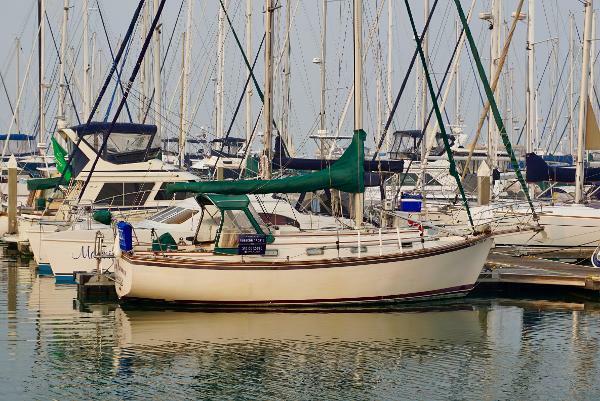 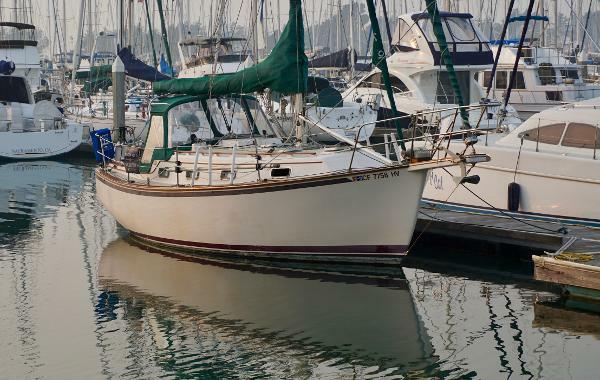 Since its introduction, the Island Packet 31 has quickly established itself as an emerging cruising classic. 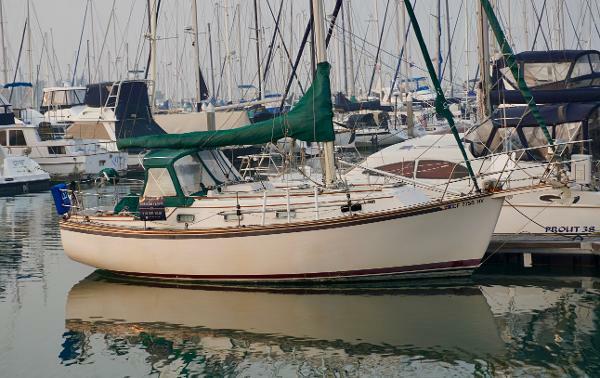 Featuring the highly successful and acclaimed Island Packet design concept that combines a broad beam, modern full keel hull with handsome traditional styling and a generous yet easily managed rig, the Island Packet 31 offers today's cruising sailor the unique advantages of spirited performance with excellent control and seakeeping qualities, combined with spacious accommodations normally found only in much longer yachts. 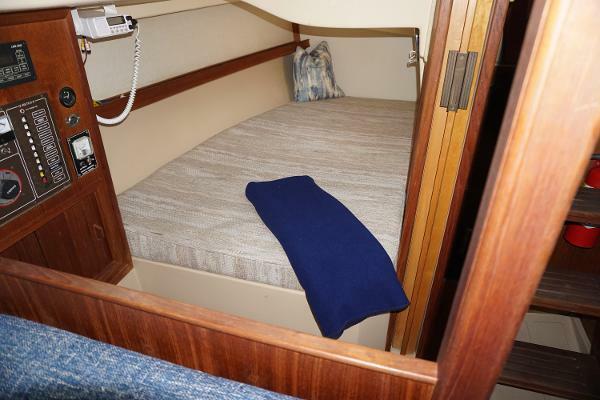 Free of rating rule design aberrations, all around sailing excellence has been achieved with easy handling by a small crew combined with exceptional comfort and safety features insuring maximum enjoyment at sea and at anchor. 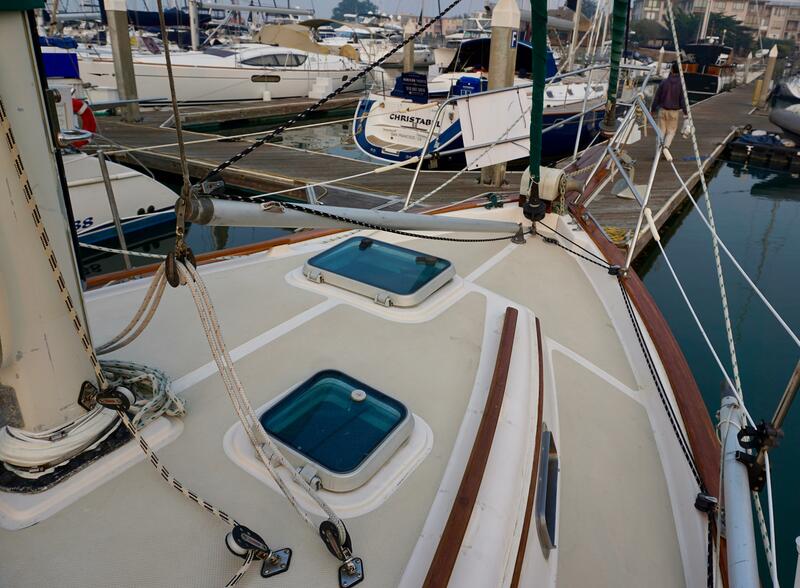 The full protective keel design gives the full capability for blue water passages as well as exploring shallow coastal waters.